Want to reduce comment spam on your WordPress site? Akismet is the most popular WordPress comment spam protection tool. 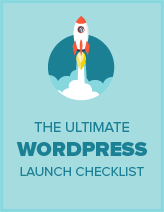 It is also the only other plugin that comes pre-installed with every WordPress website. In this Akismet review, we will take a look at its features, effectiveness, and ease of use. Why You Need Akismet as your Anti-Spam Plugin? Spam comments are a huge problem for WordPress websites. A large number of spam comments is generated by automated spam bots. Manually submitted spam comments are also in huge numbers. However, very soon you will not be able to moderate comments due to high volume of spam. This is where Akismet comes in, it catches spam comments submitted to your website and stops them from appearing on your website or in comment moderation. It is a cloud based application, so the massive databases used to filter and catch spam reside on the cloud. The performance impact on your site is unnoticeable. Akismet, can catch the most but not all spam comments submitted to your website. You will still not to moderate comments and if you see spam comments that escaped Akismet, then you can mark them spam. Akismet is a project of Automattic, the company behind WordPress.com. Once you activate the plugin, you will need to generate an API key by creating a free WordPress.com account. For detailed instructions take a look at this guide on what is Akismet and why you should start using it right away? 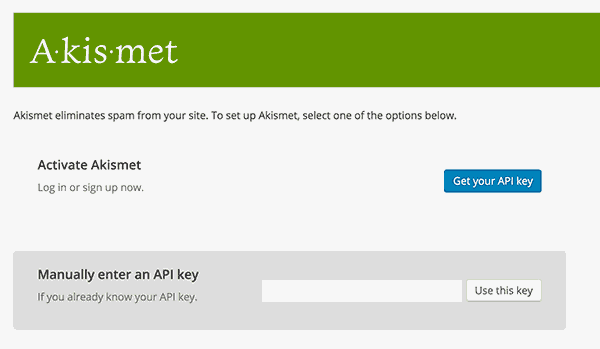 Once you have entered your API key, Akismet will start working in the background. There are no extra settings for you to configure. You can see Akismet stats by visiting Settings » Akismet page. 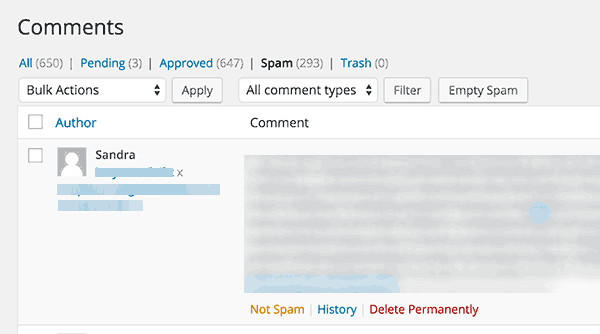 The stats page will show you a summary of the number of spam comments Akismet caught from appearing on your WordPress site. Akismet is quite good at catching most spam comments. However, users have criticized it for false positives. When a totally legitimate comment is marked as spam, it’s called false positive. Spam comments appear on the comments under the spam tab. Take your mouse to a comment and you will see a link to mark it as not spam. This way you can inform Akismet if it has marked a false positive. But the problem is that most users don’t look into spam comments. It is quite hard to look at hundreds of spam comments to check for false positives. If a comment is marked as spam by Akismet, then the comment author will not see ‘Awaiting Moderation’ notice next to their comment. If you submit a comment on a site and you do not see awaiting moderation notice, then you should reach out to the site owner so that they can mark your comment as not spam. Akismet will learn and will eventually stop marking your comment as spam. Akismet has a basic plan which is provided on an honor system basis. This means you decide what Akismet is worth and then pay that amount. Apart from that Akismet also has monthly paid plans starting from $5 per month for a single site. For $9 you get Akismet and VaultPress (a fully automated backup solution for WordPress sites). Enterprise clients can get Akismet for $50 a month with large number of checks and unlimited sites. Email and chat based support is offered for each plan. Fixed monthly plans get priority support. Akismet is quite simple to use and setup, there is good documentation available on the official website. Is Akismet Alone Enough for Combating Comment Spam? Spam is a huge problem and no single solution can be 100% effective. Akismet can reduce your comment spam to a tolerable level but it will not totally eliminate it. A large number of spam comments are manually submitted by human users. These spam comments get the benefit of doubt and easily bypass most spam filters and plugins. You will still need to keep moderation enabled on your site. This way you will be able to prevent manually submitted spam from appearing on your website. Take a look at these tips and tools to combat comment spam in WordPress. We believe that Akismet is a must-have plugin for all WordPress sites. The volume of comment spam is just too much to deal with and Akismet can help you save a lot of time. It is easy to setup, does not require you to do much, and works very well.